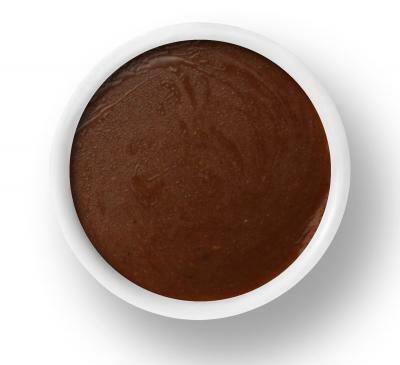 With its sweet acidity and mellow flavors, balsamic vinegar brings something special to dressings and vinaigrettes. Use a high-quality aged balsamic vinegar for a lovely, complex flavor. This creamy dressing is delicious on salads and it makes a tasty sandwich spread, as well. It makes about 1 cup, which is eight 2 tablespoon servings. This is delicious on a spring green salad or tossed with a cold pasta salad. Store, tightly sealed, in the fridge for up to one week. Replace the mayonnaise with non-fat Greek yogurt to reduce fat and calories. Replace all the herbs with 1/4 cup chopped, fresh basil, omit the brown sugar, and add the juice of 1 lemon. Replace the mayonnaise with one avocado, peeled and pitted. 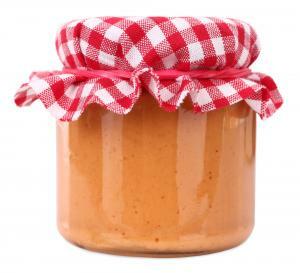 Process all ingredients in a blender or food processor until smooth, adding water to adjust the texture as desired. This dressing is sweet and flavorful. It's delicious as a dressing for citrus or berry salads, or as a dressing for peppery or bitter greens, such as arugula or radicchio. It's also delicious drizzled on roasted Brussels sprouts. The recipe makes about 1-1/4 cups, which is about ten 2-tablespoon servings. In a small bowl, whisk together all ingredients until combined. Store in the fridge for up to five days. Whisk before using. Figs and balsamic vinegar have a natural affinity for one another that makes this dressing delicious. You'll need to use a blender to mix it and puree the figs. Serve this with a chopped kale salad or use it as a marinade for grilled chicken or fish. The recipe makes about 1-1/4 cups, or about ten 2-tablespoon servings. In a blender or food processor, combine all ingredients. Blend until smooth. 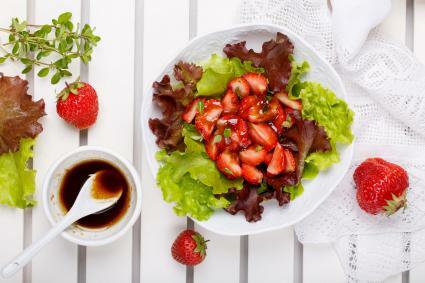 Balsamic vinegar has a lovely, complex flavor that lends itself well to dressings for salads and vegetables. 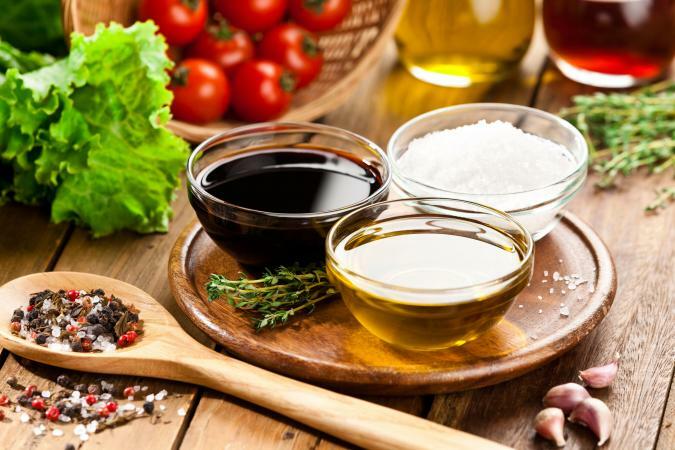 Try any of these dressings to jazz up your next salad or veggie side dish.